The Central Bank of Sweden is considering issuing a national digital currency to solve the problem of a dramatic drop in the domestic use of cash. 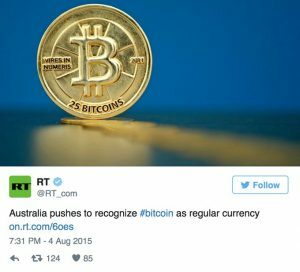 The so-called e-krona may be introduced within two years. “The less those of us living in Sweden use bank notes and coins, the clearer it becomes that the Riksbank needs to investigate whether we should issue electronic money as a complement to the money we have today,” Riksbank Deputy Governor Cecilia Skingsley told the Financial Times. Sweden’s Riksbank is the world’s oldest central bank, and was the first to issue paper banknotes in the 1660s. Alternative methods of payment have been gradually replacing traditional cash in Scandinavian countries. The Danish government is considering the option of going completely cash-free for the country’s shops and services. The quantity of notes and coins in circulation in Sweden has fallen by 40 percent since 2009, with a rise in online shopping and card payments. Swedes are among the world’s biggest credit card users. If Sweden decides to introduce the e-krona, it would become the first major country to give consumers direct access to virtual money issued by a central bank. “This is as revolutionary as the paper note 300 years ago. What does it mean for monetary policy and financial stability? How do we design this: a rechargeable card, an app or another way?” Skingsley said. Despite all the potential benefits and challenges arising from digital currencies, there have been fears the shift to electronic payments may negatively affect the poor, elderly and disabled as they lack access to technology and credit. Another issue is the high number of fraud cases involving electronic transactions. According to the Riksbank, if the e-krona is issued it will be complementary rather than a replacement for cash. 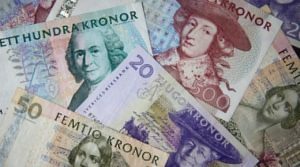 Banknotes and coins will be issued as long as there is a demand for them in Swedish society, the bank said. Will you be hit by changes to Sweden’s residency laws?